Here’s your friendly reminder that Saturday, January 31st at 11:59PM EST is the deadline for entering the $100 contest! Don’t forget to check out all the details so you can enter your space – getting paid to clean is pretty sweet! And I’ve been busy around the web this month writing several articles for many of YOU! Links are at the end of this post. But first… I want to share my BIG excitement of the week with you! 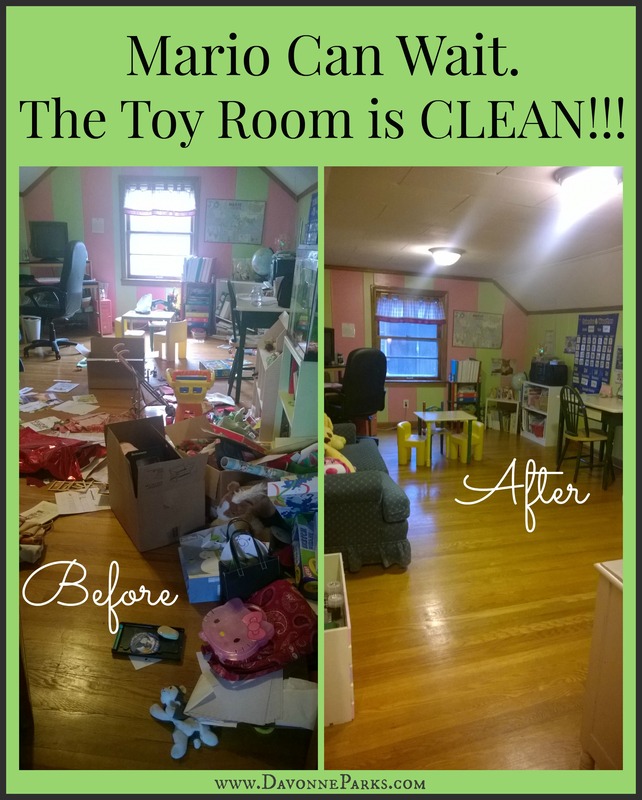 THE SCHOOL & TOY ROOM IS CLEAN!!!!!! This was a HUGE job! Much bigger than I’d anticipated (my kids feel the same way). 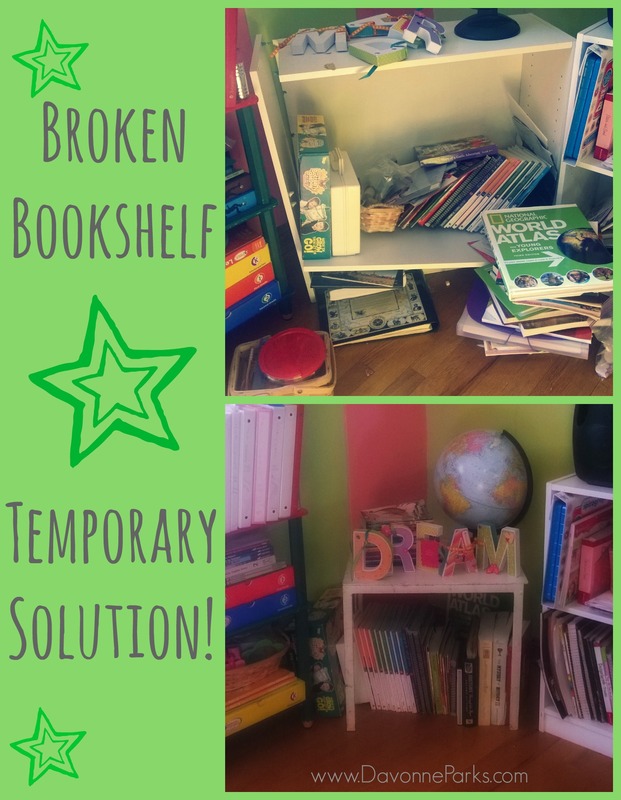 I shared embarrassingly terrible photos of our first schoolroom declutter session here. And I showed you our broken bookshelf situation at the bottom of this post. We cleaned for so long that my five-year-old begged me to just throw it all away so she could be done working and play Super Mario Wii. I was tempted to do just that – throwing everything in trash bags and taking a long break sounded amazing! But we knew that if we just kept working, we’d eventually finish the job. And we did! 4 cleaning sessions and nearly 15 hours later, we got there. Grace’s toddler & preschool items have been put into donation bags and her kindergarten items have finally found a home on a cute shelf. Board books have been replaced by chapter books that were previously hanging out on the floor. Old papers have been put in their binders or tossed (mostly tossed). 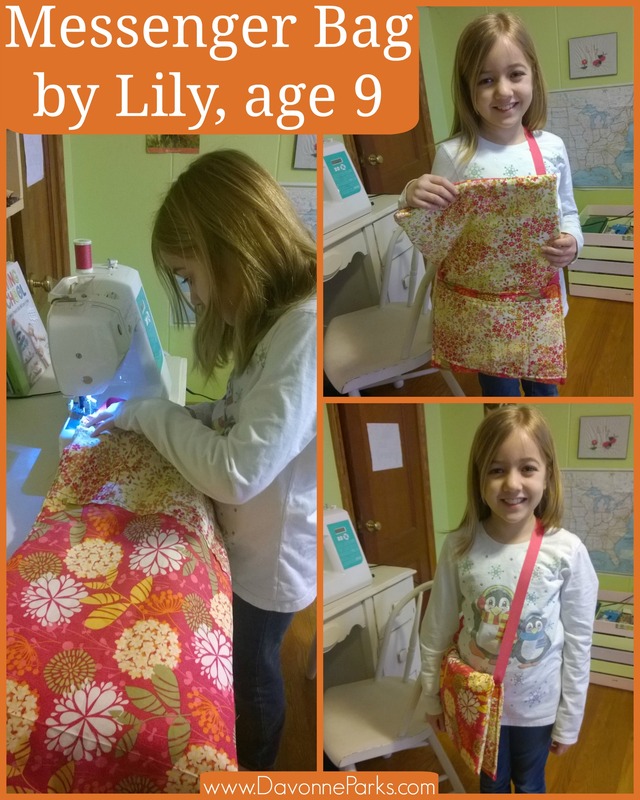 Lily’s sewing desk is reorganized and little projects that she knows she won’t finish were taken apart so she can use the fabric for new projects. 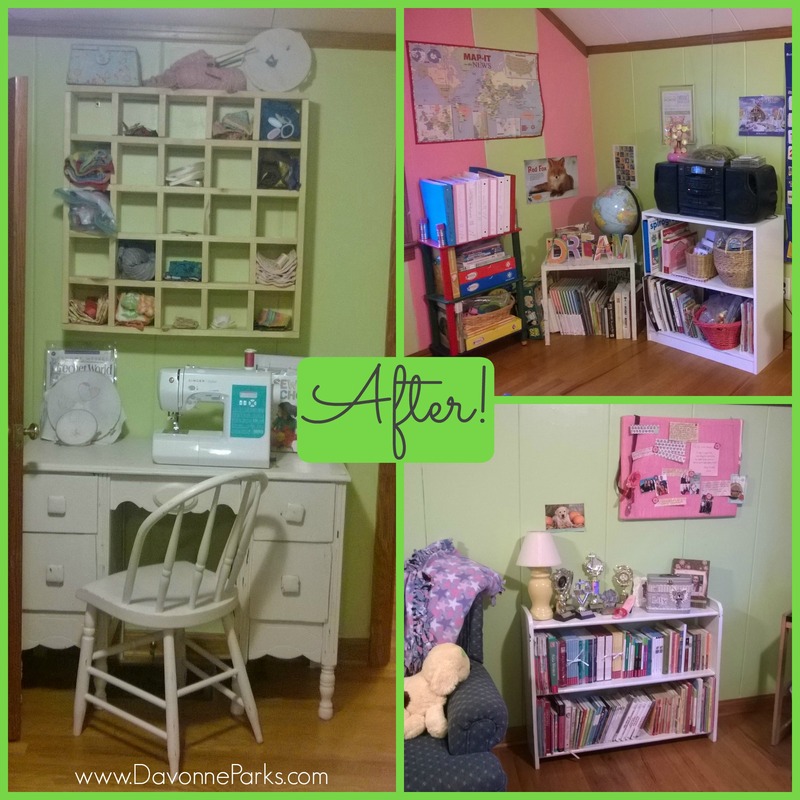 The room wasn’t easy to clean, but it was so worth the work! 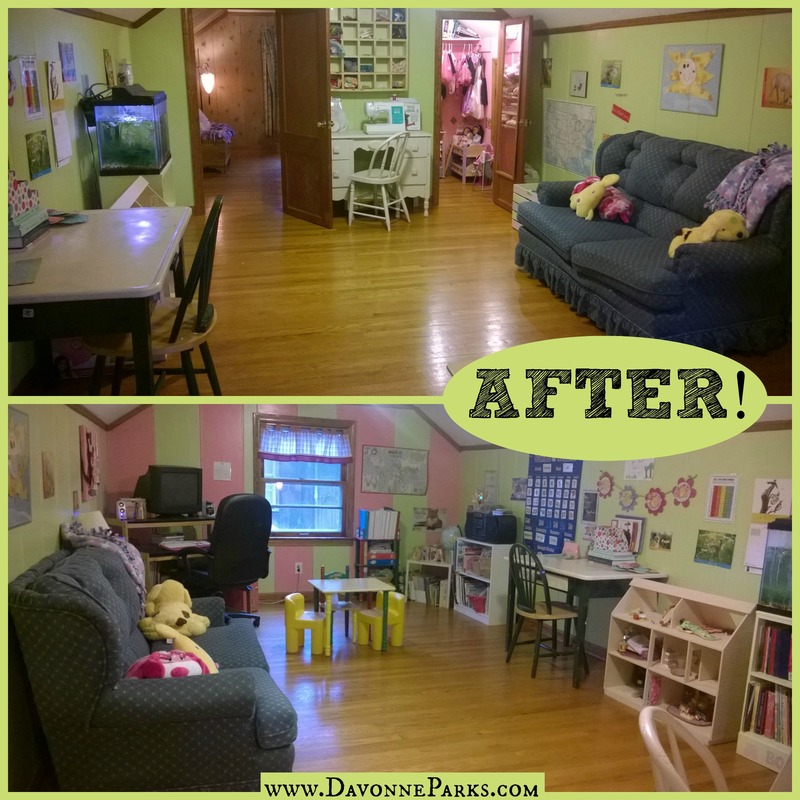 The girls are absolutely thrilled that everything is freshened up and their school & toy room is growing up right along with them. 14.5 hours total cleaning this room. Filled 7 trash bags for donation. Stuffed 3 trash bags with trash. In addition to lots and lots of decluttering, I’ve written special notes to fellow moms all around the web this month! See my letter to the worn down mama – it’s perfect for those who need a little break. You can also check out my note about mommy priorities – this post hurts a little but it can help heal a lot. I also made a list of five thoughtful gift ideas for moms, all $5 or less (e-mail this list to your husband if he needs Valentine’s Day ideas!). Plus, I offered tips for 6 simple ways we can serve others and the ideas are perfect for busy moms who are also on a budget. PS Don’t forget to enter the organizing contest for your chance to win $100! How did you do with your January organization goals? Leave a comment or drop me a note to let me know! « Top 10 Ways to Make Cleaning More Fun!